Be prepared before you apply for a home loan. Understand what lenders are looking for. Here's how to improve your approval odds. Getting approved for a mortgage takes more than filling out an application. 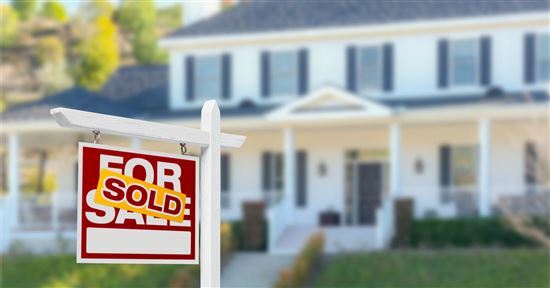 To succeed, you want to start the process of buying a home long before you plan to apply for a loan. There are several ways to increase your chances of approval. We discuss these methods below. Verify your income. Make sure you can prove you have had a stable income over the past 2 years. Look at your monthly debt payments. Calculate your debt-to-income ratio to get an idea of what you can afford. Check your credit. Credit is a huge factor when applying for a home loan and it will determine your interest rate. Save for a down payment. 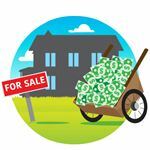 You may have to put a large amount of cash down to be able to purchase the home. If you don't, you will still need a cash reserve for closing costs and fees. Lenders will be doing a lot on math on you before deciding how much money to lend you. They weigh the risk of you not paying and the reward of the interest payments you'll be sending their way each month. Do some quick math yourself to figure out how much you can afford. Only you know how many expenses you have each month and how difficult or easy it is to pay your bills. When you calculate your income, you may come up with a different number than the lender. This is because many lenders take an average of your income over the last 12-24 months. This allows them to account for any highs and lows your income may have. This prevents lenders from approving you for a loan that you may not be able to afford year-round. Did you know: If you receive bonuses or commission, lenders use a special method to determine your income. To figure out what they do, take the income reported on your W-2s for the last 2 years and divide it by 24 months. This will give you a close idea of the income figure a lender will apply to you. Keep in mind that lenders also need adequate proof of your assets. You cannot just say you have $10,000 in your account and expect them to accept it. Instead, they need to see "seasoned funds." This means funds that sit in your account for at least six months. They will verify this by evaluating your bank statements over the last 6 to 12 months. If they notice any unusual deposits, they will inquire where the money came from. They may also require a paper trail. This is to prevent you from "stuffing" your account with someone else's money. Tip: You can receive gift funds for certain loan programs, including FHA and conventional loans. However, each program has specific requirements as to how you document the funds. Talk to your lender to ensure that you follow the requirements closely. This helps you avoid losing the chance to use gift funds provided to you. Once you have everything in line to make a great loan application, you should secure a pre-approval. This is the first step the bank takes to approve you for a loan. They need your credit report (in general, they're looking for a score of at least 680), income documents, and bank statements to determine how much loan you qualify to receive. Many sellers and realtors prefer to work with buyers that have a pre-approval. Getting a pre-approval for a mortgage also helps you realize how much home you can purchase. You can use the mortgage calculators online, but until you talk to an underwriter, you won't know what lenders think. The pre-approval process takes less than an hour. In many cases, you can walk away with a pre-approval letter from the lender the same day. Tip: When you receive your pre-approval, really consider the numbers provided to you. Banks do not take into consideration daily living expenses. Only you know what you can comfortably afford. 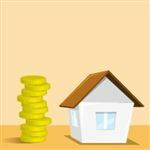 Check out our article "How Much House Can I Afford?" to see how to make the right choice. How to get pre-approved online: A pre-approval letter will help you be taken seriously when dealing with realtors and sellers. Online lenders will want to know your current and previous addresses, employment history, your credit history as well as how much money you make. Veterans and low-income families in a rural area can also apply for the VA or USDA loan. The idea is to see the different options available to you. This is important if you do not put 20% down on the home. This way, you can compare the mortgage insurance payments and interest rates of an FHA and conventional loan. Not every bank offers the same programs. One may turn you down completely, while another may have other options for you. The risk levels each bank can accept vary. In addition, each bank has different requirements for profit levels on various loans, and application fees can vary. Do mortgage pre-approvals affect credit score? The lender will need to pull your credit history in order to do the pre-approval. That will trigger a hard inquiry and will ding your credit score a little. However, the credit bureaus understand you're shopping around. So within a 45-day window, they will treat all credit checks from mortgage lenders as one single hard pull. Lenders need to see stability in your life in order to approve you for a loan. This includes a stable job history. The magic number is 2 years. Many lenders prefer that you work at the same job for at least that long for stability. This ensures the lender that you have consistent income to cover the pending mortgage payment. There is some leeway with this requirement, though. You won't be stuck at a dead-end job for two years just to secure a future loan approval. If you need to switch jobs, try to keep it within the same industry. Many lenders look at this as consistent employment. This is only true, of course, if your income is along the same lines. If you took a drastic pay cut to change jobs, the lender may be leery of the change. The same is true for self-employed borrowers. Lenders look at consistency of income and sources. Be prepared to supply 1099 forms, tax returns, and show the source of income. Mortgage assistance, such as through borrower-paid mortgage insurance, payment subsidies from the government, or down payment assistance. If you are new to the working world, you may have to wait a while to apply for a loan. The time you have to wait depends on the lender and your chosen profession. College graduates who secure a job in the industry they studied are an exception. If you took a job in a different area, you may have to wait 2 years. Tip: If you have a gap in your employment but have a good reason for it, explain it to the lender. Sometimes a Letter of Explanation helps the lender understand the reason for a gap. For example, you may leave one job to take a higher paying job somewhere else but have to wait a month to start. On paper, this looks like a gap in your employment. 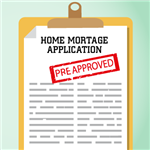 Without an explanation, many lenders would deny the mortgage application. However, with written proof of the reason for the gap, the lender may grant an exception. Another factor lenders use to determine your ability to secure a mortgage is your debt-to-income (DTI) ratio. This means how much of your income covers your monthly debt. The lower the ratio, the easier it is to secure a mortgage. You have 3 credit cards with minimum payments totaling $150 and a car payment of $300. Your pending mortgage payment, including principal, interest, taxes, and insurance, equals $1,200. Your total debts equal $1,650. If your monthly income equals $4,000, your debt-to-income ratio equals 41%. Every lender has a different threshold for debt ratios. Many go by the Qualified Mortgage Rule, which states your total debt ratio cannot exceed 43%. Others have other guidelines, higher or lower than this number. In order to minimize your debt ratio, start paying your debts down as early as possible. If you can eliminate your credit card debt, it would help your DTI greatly. If not, at least get the accounts paid down as low as you can so the minimum required payment decreases. Any loans you can pay off completely also help your DTI. You may find that a balance transfer will help lower your monthly payments, or enable you to pay off credit card loans more quickly. Student loans can also weigh heavily on your credit. Try to pay more than the minimum to get ahead of them and lessen your overall indebtedness. How to get approved for a home loan with low credit score: If your credit score falls below 580, you will usually need to put down a down payment of more than 3.5% of the selling price. To prequalify for a mortgage with your lower score, first seek out an FHA loan, which tends to have leaner lending requirements. And you need to able to show that you are working on improving your credit reputation (a declining debt ratio helps). It's important to remember that the lower your credit score, the higher your interest rate will likely be, and you may also need a qualified co-signer. Lenders look at how much "skin in the game" you have. This means how much you invested in the home yourself. There are many different requirements for down payments depending on the program you choose. The earlier you start saving for a home, the better your position for loan approval. As a standard rule, 20% down gives you the most leverage. With this investment, you don't need to pay Private Mortgage Insurance. This could amount to a monthly savings of $100 or more on your mortgage payment. There are loans for those who don't have 20% to put down, but they usually have higher interest rates and the dreaded PMI. Mortgage insurance automatically drops off most loans once the loan to value reaches 80% or less. The exception is with FHA loans, where the mortgage insurance is paid for the life of the loan. The only way to cancel mortgage insurance premiums on an FHA loan is by refinancing the loan. Did you know: Private mortgage insurance (PMI) is an insurance policy that protects the lender. If you stop making your payments, the lender has protection against the loss. Many loans with less than 20% down on them require PMI. Does your credit score need some care and attention? Your credit score, also known as your FICO score, is often the first thing lenders look at to match you up with loans you may be eligible to receive. Generally, your FICO score should be at least 680 and you have a better shot at good rates if it is 700 or over. Some low down payment programs will allow credit scores as low as 580, but you will be required to put more money down than the minimum in order to qualify for the loan. You may also find that there will be additional requirements, such as mortgage insurance or points, and additional documentation for you to qualify with a low credit score, or that your interest rate will be higher. Pay your outstanding bills on time. Credit bureaus report late payments once they are 30 days late. Don't over extend your available credit. Use no more than 20% of your available credit. Anything higher negatively affects your credit score. Don't open any new credit accounts. New credit can bring your credit score down. Try to avoid new accounts for at least six months before applying for a loan. Watch how many creditors pull your credit. New inquiries can pull your credit score down. Inquiries also serve as a red flag to lenders as it might mean new debts. Young adults and new college graduates often overlook the need to build their credit as a preparation for home buying. Lenders like to see at least a 2-year history with open accounts. The sooner you can open accounts and show financial responsibility, the better. Even if you open a store credit card and pay it off each month, it is a start. Overall, lenders like to see a minimum of 3 credit lines actively reporting for 2 years. It is also important to ensure the validity of everything reported on your credit report before authorizing a credit pull with mortgage lenders. Before you apply for a mortgage, order your free credit report from each of the bureaus. You are able to secure one free report from Trans Union, Experian, and Equifax per year. Go over the reports to make sure there are no errors. Human mistakes happen, but if you don't catch them, it could hurt your chances of loan approval. If you do find an error, provide the proof of its inaccuracy to the reporting bureau to correct it. Do this before a mortgage lender starts a credit pull to examine your score and your history. As you can see, you may find that you need some more time to ready yourself for a loan approval. The sooner you start, the greater your chances of approval. Always keep an eye on your credit, save as much as you can, and you'll get your foot in the door. A mortgage pre-approval is the essential first step to getting your dream home. Learn why it's important and how to get one. Share on Facebook "How to Get Approved for a Home Loan"